Vaughan Azzuri left it to the bitter end but found a way to earn a tough 3-2 victory on the road at Master’s Football Academy Saints in League1 Ontario Soccer action Saturday afternoon. The Vaughan victory was a comeback affair with all three goals coming in the second half, the final goal in added time off the foot of striker Andrew Ornoch, who slotted home his sixth of the season for the winner. The score would have been far more lopsided if not for the standout work of Master’s keeper Shane Lopez who made half-a-dozen outstanding saves to stop sure goals from finding the net. “I think by far he’s the keeper of the league, he makes outstanding saves every game. He did his job and did it very, very well,” said Junior Groves, Saints director of Football operations after Saturday’s match. The result was a tough one for Masters to swallow. The home side, despite few chances, grabbed a 2-0 lead on goals from Leshaw Woods-Henry and Louis Jordan Brasil on each side of the half. But in spite of that lead, it was clear Masters were holding on for dear life as Vaughan pressed hard to get on the score sheet and launched shot after shot that Lopez parried, punched or deflected wide of the Saints goal. Finally, however, Henry Moody was able to knock in a low drive that Lopez got a hand on but couldn’t keep out in the seventy-eighth minute. It seemed clear Vaughan had more goals in them. In the eighty-sixth minute, Shammie Lammie of the Azzuri bounced the ball past the Saints keeper to tie the match after a goalmouth scramble. Vaughan clearly wanted all three points and, in injury time, forward Ornoch found the range with a perfectly placed shot that Lopez simply couldn’t get to. It was a crushing defeat and several Masters players dropped to the pitch in frustration after the final whistle. “Vaughan did enough to come back,” admitted Groves, who also believed there was a point in the second half when his team had a chance to add to its 2-0 lead but failed to capitalize and let the game slip out of its fingers. But he said results aren’t the point, at least not this season. “We still are doing what we did in preseason because we are making quite a few changes. We have a two-year plan. That’s why the score doesn’t bother us,” he said. Masters is tied for seventh in the nine-team league with ANB Academy with seven points. Vaughan coach Carmine Isacco will take the victory, which keeps his club in third place with nineteen points on nine games going into Sunday action, five points behind leaders TFC Academy and a point behind Sigma FC. “I think right now the result is secondary… it’s the rhythm of the team and the chemistry that we lack. We found a way to get it done and the result matters in a pro league, but it’s about our movement on the ball, it’s about our movement off the ball, it’s the continuity of the game that’s troublesome right now,” said Isaaco. 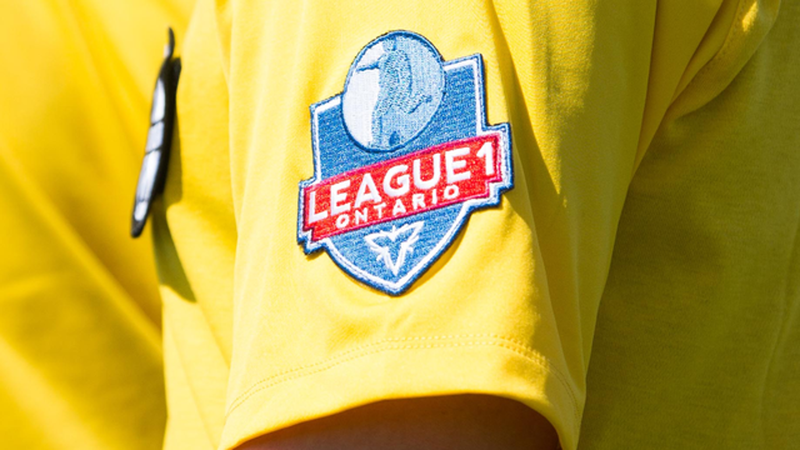 Vaughan heads to Kingston for its next game against the Clippers next Sunday at 4 p.m. Masters travels to the Hershey Centre in Mississauga to play Sigma FC on Thursday, Aug. 7 at 9 p.m.